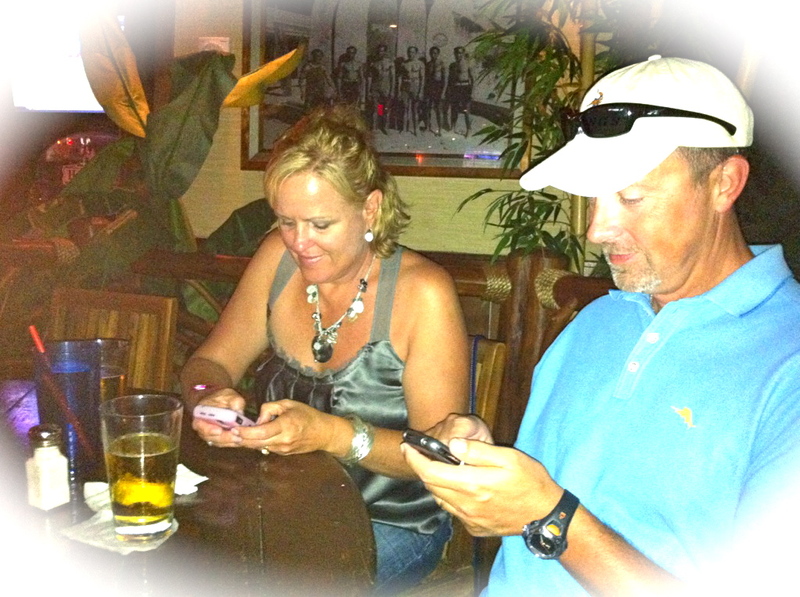 So last night my parents went out with my brothers to happy hour in Waikiki. My parents are awesome. Before they partied it up, they had to catch up with their peeps. Check out Mom on her pink Crackberry and Dad (also known as iPod Bob for his rad playlists) on his iPhone. Love it. Your parents are super RAD. When Tim and I are ready for HI, we are shacking up with them…may want to let them know. Hawaii is super awesome, too. And I know my parents would LOVE to have you & Tim; you’re always welcome! How are things in sunny SoCal? We miss you guys! your parents are so hip! Haha. I know. They have more cool electronics than the hubs & I. And remember, the Mini Cooper baby walker was ALL them!